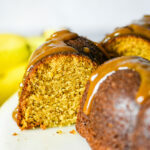 There is a saying that goes “a picture is worth a thousand words” and this recipe embodies everything that means. This experiment has turned into one of my favorite pizza ideas so far! Don’t you just love when that happens? 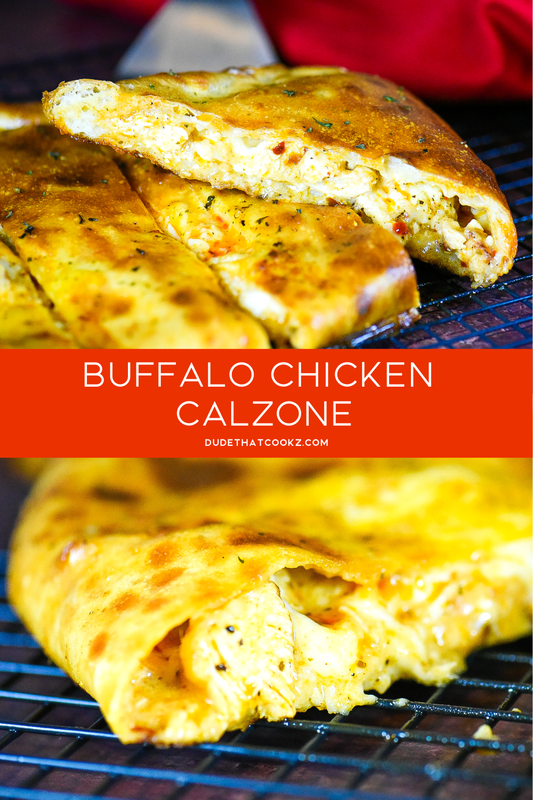 My new creation, called the Buffalo Chicken Calzone, starts with well seasoned chicken breast — which is always a great beginning to any chicken-based dish. The balance of flavors come together by mixing Creme Fraiche along with three different cheeses and a great tasting Buffalo sauce. 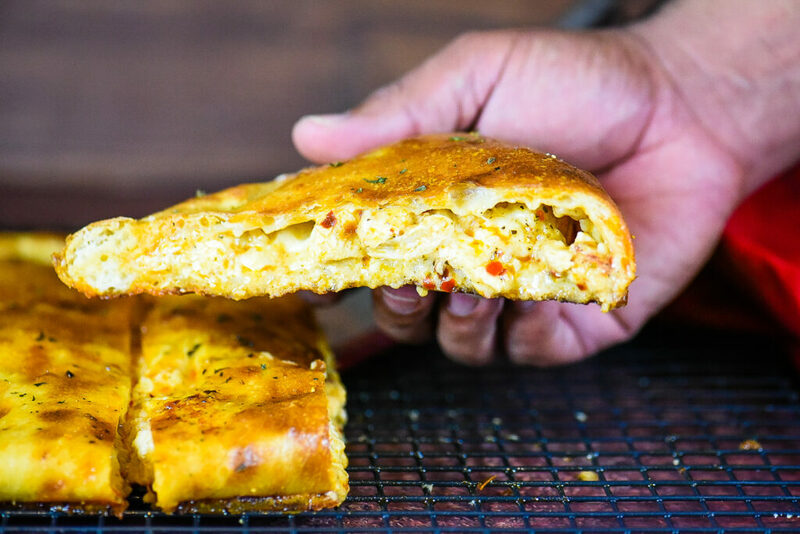 This makes this calzone top notch and something a bit different from the traditional. 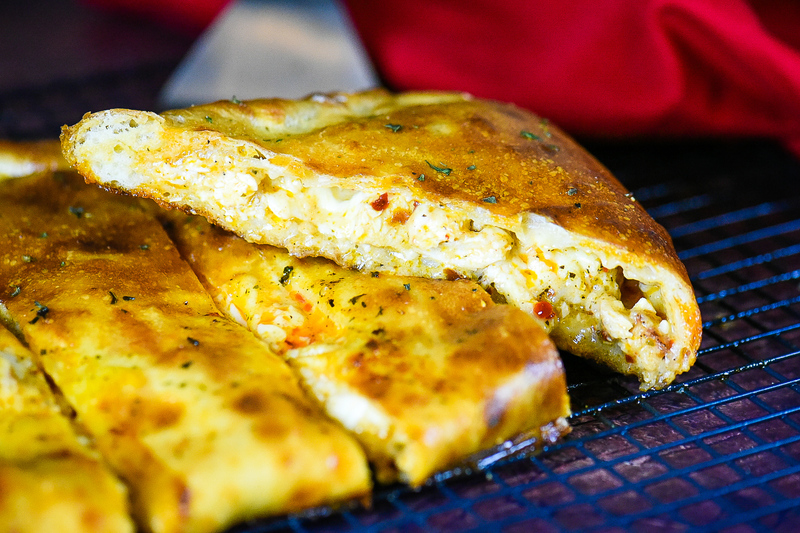 If you are a fan of Buffalo wings and pizza this calzone will bring those two worlds together like no other. Be prepared for a little kick from the red pepper flakes along with the great aroma that the Artisanal seasoning adds. 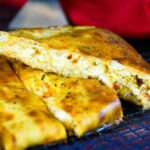 And yes, if you still have the urge to dip your calzone into ranch or blue cheese dressing, then go right ahead. 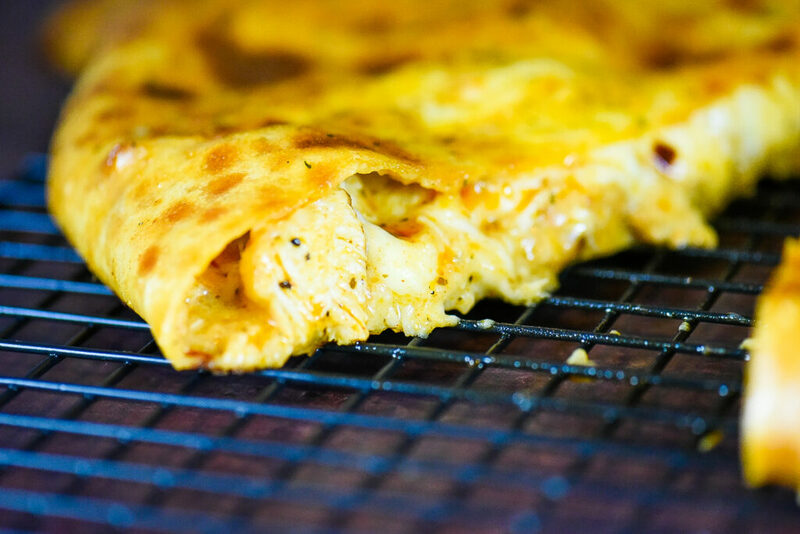 Turn your pizza night into a fun ranch exploration by giving this Buffalo Chicken Calzone a try. Spread pastry flour over kitchen counter top. Place fresh dough onto flour and begin to shape dough into a circle using hands. Finish shaping and flattening with roller. Butterfly cut the chicken breast then season both sides with paprika, 1/2 tsp black pepper and garlic powder. Cook the chicken breast on medium/high heated pan slightly coated with cooking oil for 4 minutes on each side. 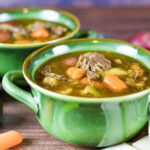 Cut the cooked chicken breast into cubes and place into a large bowl. Add parmesan cheese, Creme Fraiche, shredded white cheddar cheese, minced garlic, red pepper flakes, Artisanal seasoning, 1/2 tsp black pepper and Buffalo sauce and mix together. Add the chicken mixture onto one half of the pizza dough. Slice the fresh mozzarella into thick slices and add to the top of cheese mixture. Pull the other half of the dough over the cheese mixture leaving a one-inch edge. Push and twist the bottom and top edges of the dough until it’s sealed. In a small bowl, add egg and water then mix together. 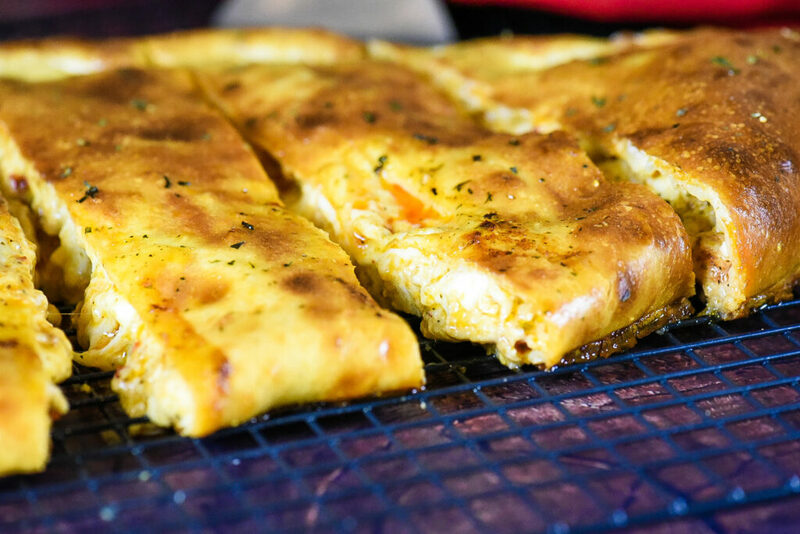 Brush the egg mixture over the entire top of the calzone, then cut 3 small holes with a sharp knife in the top of the dough. Add the cornmeal to the bottom of the baking pan and place the calzone on top of the cornmeal. Pre-heat the oven to 425 degrees and cook the calzone for 18 minutes. Remove from oven once done and serve with ranch dressing.